I am a crazy fan of Percy Jackson And Olympian Series and I am super excited about the movie releasing in Feb 2010 and I had to share this with you guys , so please bear with me. I am sure you watch it on TV all the time but I needed it here because I can watch it constantly to remind myself that it’s true that they finally made a movie out of the book..Yeah 🙂 and also because they have Pierce Brosnan as Chiron ( The guy could have been made handsome Poseidon or Zeus if you ask me ) ;) Ok , enough of my rambling , go ahead enjoy the trailers .. I am sorry this post is coming a little late . I wanted to post it yesterday but was so immersed in reading ” Names My Sisters Call Me ” by Megan Crane that I forgot . A really non productive Sunday as far as reading goes. But did lots of other stuff that was fun like cleaning my room (ya , I turn into a cleanliness freak when I get yelled at by mom early in the morning 🙂 ) , cleaning my book shelf while watching Devil Wears Prada and Legally Blonde I on DVD back to back for like the nth time , gorging on great South Indian food that mom made for us seeing that we were working like maniacs trying to bring a balance into our room. I call it a Sunday well spent. 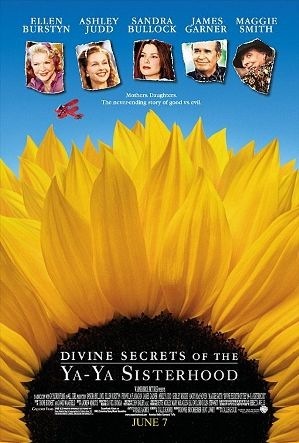 I watched three chick flicks this weekend including The Divine Secrets Of Ya Ya Sisterhood. Love the way Meryl Streep says “That’s all”. I cannot think of anyone else who could say that with more cynicism or should I say that devilish charm .She is a perfect Miranda Priestly , the hot shot , always demanding , never relenting editor- in-chief of Runway . Anne Hathway comes off a little unsure in the role of Andrea .I liked Andrea Sachs from the book . She was more real. The best in this movie would be Emily Blunt as Emily , the senior assistant to Miranda who is Andy’s senior . The movie was much milder than the book. At times I try to imagine what if it had the kind of ending the book did , how would that have worked out? Did you like this movie? What did you think about the movie ending in comparison to the book’s ending? Today being a holiday , I decided to rent a movie to watch. As I was flipping through the movie library I found this one and decided it would be worth watching. Though I am yet to read the book by Rebecca Wells I rented it. I usually do it the other way round , where in I read the book and then watch the movie . This time I decided to do it differently. Well, what do I say , I loved the movie. Actually I cried a little laughed a lot and had fun not worrying if the movie had stayed true to the book 🙂 I didn’t know , so I didn’t care. Sandra Bullock stars as Siddalee Walker , who is a playwright and whose interview to Time magazine goes awfully bad in print much so, her description of her mother Vivianne (played by Ellen Burstyn )and Siddalee’s unhappy childhood. Though Sidaa tries to explain to her mother ,an over emotional , melodramatic woman Vivi, refuses hear her out leading to similar emotional response from Sidaa who refuses to invite her mother to her wedding. The task of bringing peace is taken up by Vivianne’s lifelong friends . These four women Vivi , Teensy , Caro and Necie are the Ya-Ya s . A sisterhood they had formed as children , they have been friends all their lives and know each other well enough to make Sidalee understand why her mother is the way she is and why Sidalee’s childhood had the streaks of unhappiness which she blames her mother for. Great acting and some really good humor component makes it a thoroughly enjoyable fare. The story unfolds smoothly while going back and forth between Vivi and Siddalee’s childhood but the narrative never falters.Ashley Judd as young Vivi does a great job. 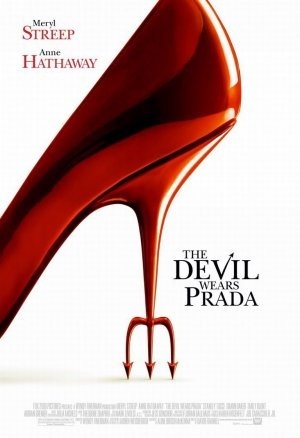 You can call it a chick flick but it is definitely more than that. Have you watched this movie? I watched Hitchcock’s Rebecca at a friend’s place where they had some sort of marathon viewing Hitchcock movies. It revived my interest in reading Rebecca which though I had read , wasn’t very clear in my mind. As to which one I liked better , I am still not able to come to a conclusion because the storyline has been faithfully maintained and executed with utmost perfection. I have been a great fan of Daphne Du Maurier not only for Rebecca but also for Frenchman’s Creek. She keeps falling in to the traps that Mrs Denvers sets for her. For our narrator it is as if people are trying to keep Rebecca alive even though she is no more. Does the narrator have her happily ever after ? I am not going to give you that. Grab the book read it. I do have some problems with the characters though. Firstly , why is our new Mrs de Winters such a mouse ? I literally wanted her to open her mouth , speak up and take a stand. It’s her husband’s house for God’s sake.Mrs Denvers doesn’t own it. But all you get from her are whining. Secondly , what kind of husband would leave his wife with no explanation about his previous wife when he knows what she is going through at the house. Constant mention of Rebecca does not seem to strike as odd to him. Other than these two things , I had no problem with the book. It was an absorbing read . I have to say I was surprised that they stuck to the book for most part. Laurence Olivier and Joan Fontaine suited well for the roles of Maxim and Mrs de Winter . The pace of the story is fast as is any Hitchcock movie. Only difference is mode of Rebecca’s death which differs in the movie version. With a movie as good as this I would gladly over look that. Another problem was that Mrs Denvers wasn’t as malicious looking as she had to be ,though she tried hard and I felt she was little too young for that role.I had imagined someone older for that role. I have been very busy lately and that has left me very little time for anything else other than reading 🙂 . I was not able to indulge in my other favorite activity i.e. watching movies. I love watching movies. Old ones , new ones , re runs , book adaptations,TV movies. It’s a great way of relaxing and I haven’t done that lately. So , here’s what I’m going to do. I am going to watch some good movies and write about them. My choices for this week as you see in the side bar are Northanger Abbey and Becoming Jane. Have you watched these movies ? Did you enjoy them ?